From Homer’s Odyssey to sea-faring Vikings, coast-bound fishermen, colonial war-fleets, and famine boats bound for the New World to the thousands of migrants landing on the Mediterranean shores every year, perilous sea journeys have been part of shared European consciousness and history since the very beginning of Europe itself. The sea, with its allures and dangers, is an integral part of myth and story-telling – not only in Europe, but across the globe. Freedom or adventure, flight or conquest – at the beginning of each sea journey stands the promise of a better world beyond the waves. HAVARIE debuted at the Tristan Bates Theatre in London in June 2014, and has since toured theatres around the UK and Ireland. In late October 2014, the play washed up on the shores of Malta, performing at Sliema’s Teatru Salesjan, to limited audiences of 50 at a time, including workshops with local schoolchildren, and with a group of unaccompanied migrant minors (in association with local NGO Integra Foundation). Interview with Marie Keiser-Nielsen, one of the four theatre artists that make up the Lost Goose Theatre Company ensemble. Le monde n’est pas rond. Why the title Havarie? Marie. Havarie is a German word which means ‘loss at sea’. We chose that name because it is a bit mysterious and it ties in completely with our story, which represents the voices of the drowned, those lost at sea. Lmnpr. How did the story come about, and how long did it take to write? Marie. Havarie was not written, not initially anyway. We devised the story through improvisations in the studio and research in Malta, through exploration of myths and current events. The story is made up of all this material we as a group have encountered since we began working in December 2013. The beginning was our wish to tell a story which made a difference and resonated with us all. We are a theatre ensemble formed of expats, so the theme of exodus was very close to us all. Lmnpr. Havarie is set at sea. After staging the play in Ireland and England, taking it to Malta is obviously of special significance. How do you feel about it? Marie. I feel that bringing the story to Malta is crucial. Although Havarie is not set explicity in the Mediterranean, one of our main influences was an article about migrants drowning off the coast of Lampedusa. The core of Havarie is boat migration and the perils that face those leaving their homes, but also the hopes and dreams that encourage people to search for new coasts; it is a universal story about this inherent human drive for freedom and happiness. Havarie is an abstraction of current events anchored in a mythical realm. Malta was an important place of research for Lost Goose Theatre Company, and a place where dialogue on migration is of great importance. Lmnpr. 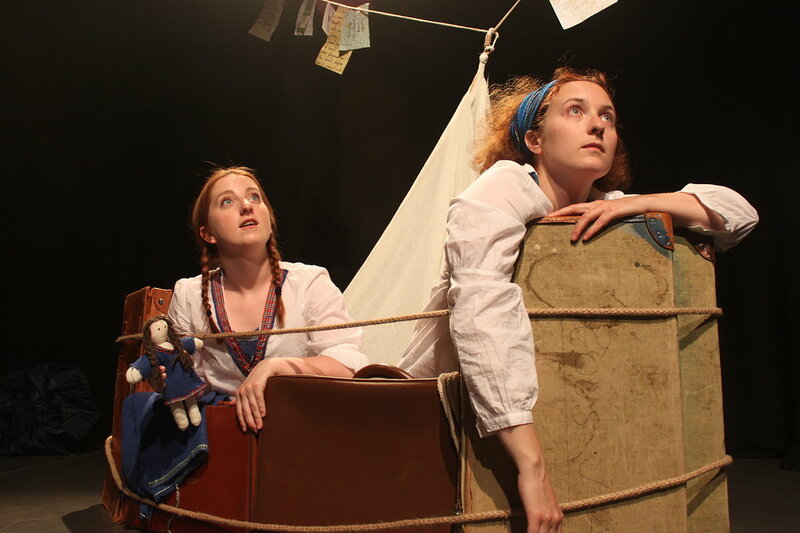 The staging of Havarie in Malta will be combined with workshops with local schoolchildren, and with unaccompanied minors who, like the protagonists of the play, fled their homes and risked their lives boarding boats of hope. What will these workshops consist of? Marie. We wish to create a dialogue about what it means to be home, to feel at home in a new country, what it feels like to be a stranger and how we hopefully through the universal, non-verbal language of physical theatre can break down some of the boundaries that keep people separated from each other. We wish to find and explore the common ground of telling the stories we all form part of. Lmnpr. 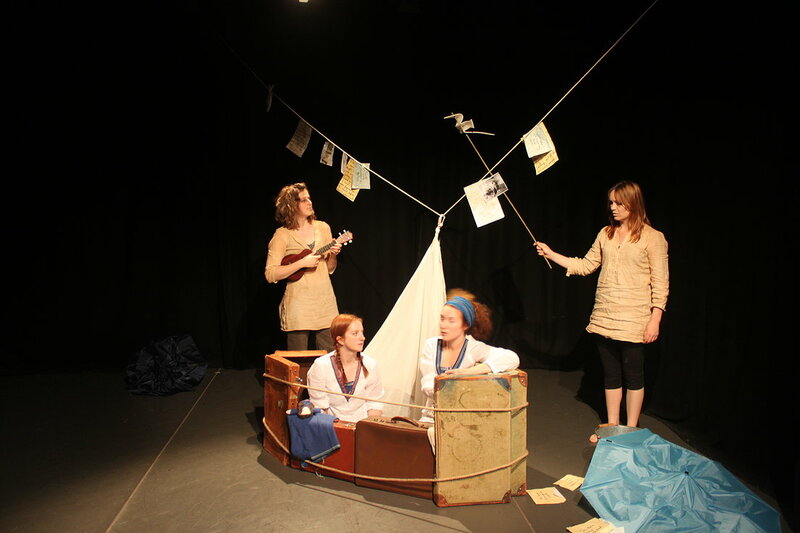 Lost Goose Theatre Company is made up of four actresses, each from a different country – Canada, Denmark, Germany, Ireland. To what extent do the cultural differences between you inform your work, and what challenges do they bring? Marie. Being such a diverse group has left a great impact on our work. We are not only of different geographical backgrounds but of different artistic backgrounds also; we are a dramaturge, a dancer, a designer/stage manager and a director. Sometimes it was a challenge to keep the piece consistent in form and style, but mostly it was great to be able to apply so many different perspectives on the storytelling. We also made our different languages an asset; we never aimed to be uniform, we believe in unity through diversity, and I think that our different cultural backgrounds were a great help in telling the stories of migration and showing how, despite having four different voices, we all share the same story. Mona Becker, Louise Hynes, Marie Keiser-Nielsen and Hannah Martin met while doing an MA in Physical Theatre, and decided to work and devise together. Lost Goose Theatre Company strives to create engaging theatre that moves, entertains and challenges an international audience. This entry was posted on 02/11/2014 by mondepasrondeditor in activism, events, interview, theatre and tagged borders, Hannah Martin, Integra Foundation, Lost Goose Theatre Company, Louise Hynes, Malta, Marie Keiser-Nielsen, Mediterranean, migration, Mona Becker.